Fill your home with the smell of these freshly made delicious no-bake goodies which surely will have a place in your heart. Perfect for your kids' snacks or baon at school. 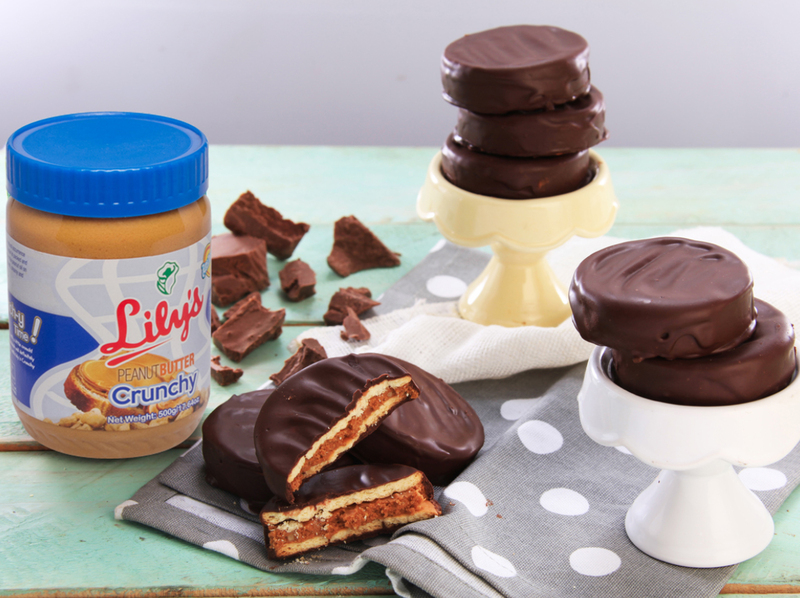 Awesome and delightful because of its main ingredients, Lily's Crunchy Peanut Butter! Filling: In a bowl, combine Lily's Crunchy Peanut Butter, cracker crumbs and salt. Mix well and set aside. Place a spoon full of filling mixture on a flat biscuit. Place another biscuit on top of the filling to make a sandwich. Repeat with remaining filling and biscuits. Freeze sandwiches for about 5 minutes or until filling is firm. Melt chocolate in a bowl. Dip assembled cookie sandwiches in melted chocolate. Let excess chocolate drip off and place on a clean tray lined with wax paper. Let sandwiches dry and set.